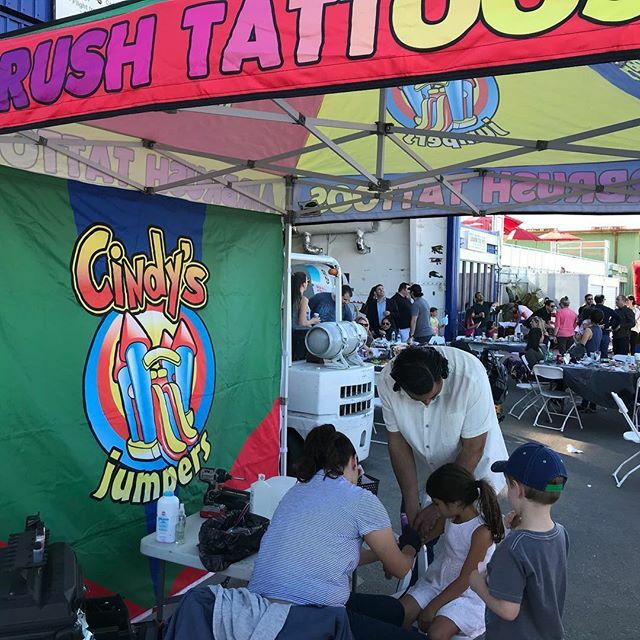 Airbrush Tattoos are perfect for all types of events with lots of kids and families. 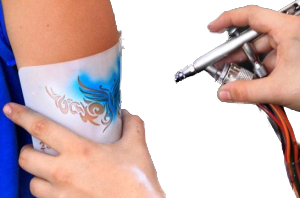 Each airbrush tattoo only takes about a minute to complete which means more fun and more people we can accomodate. 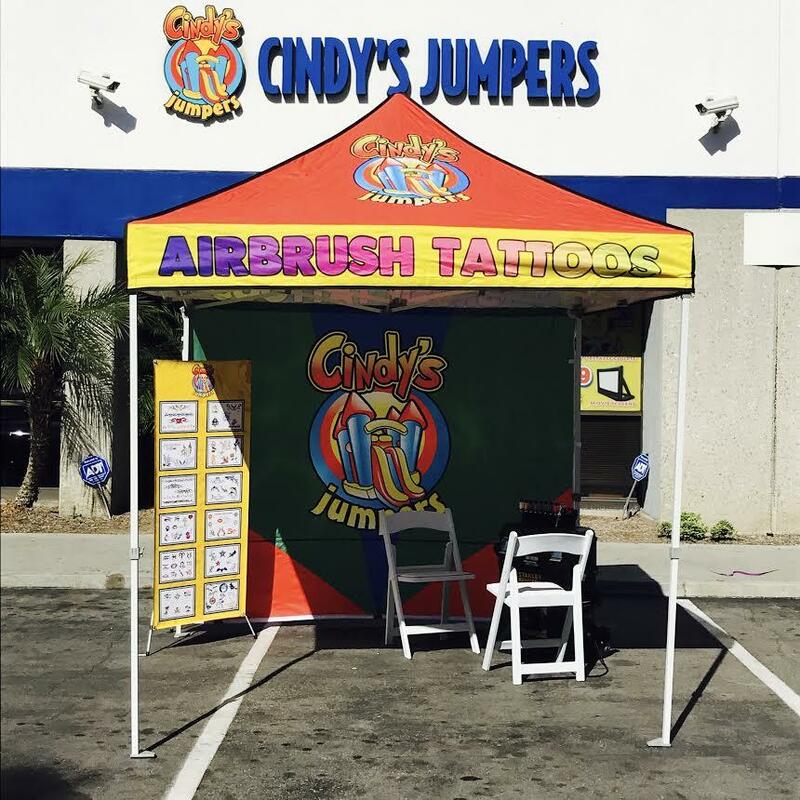 The airbrush tattoos are fast, clean fun, water washable, and completely non-toxic. They are created with alcohol based makeup and can easily be removed with rubbing alcohol. 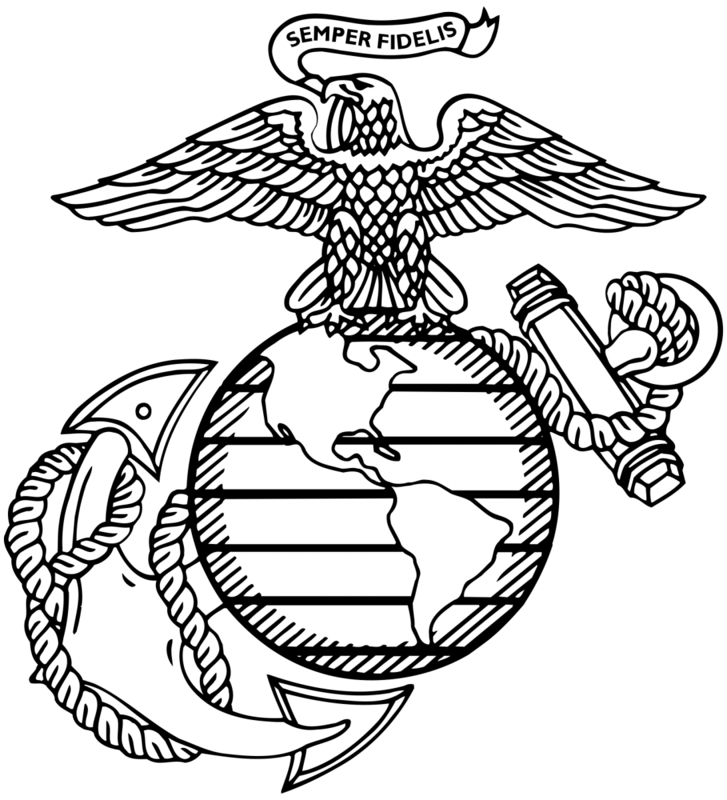 The tattoos are waterproof and will last 3-7 days. 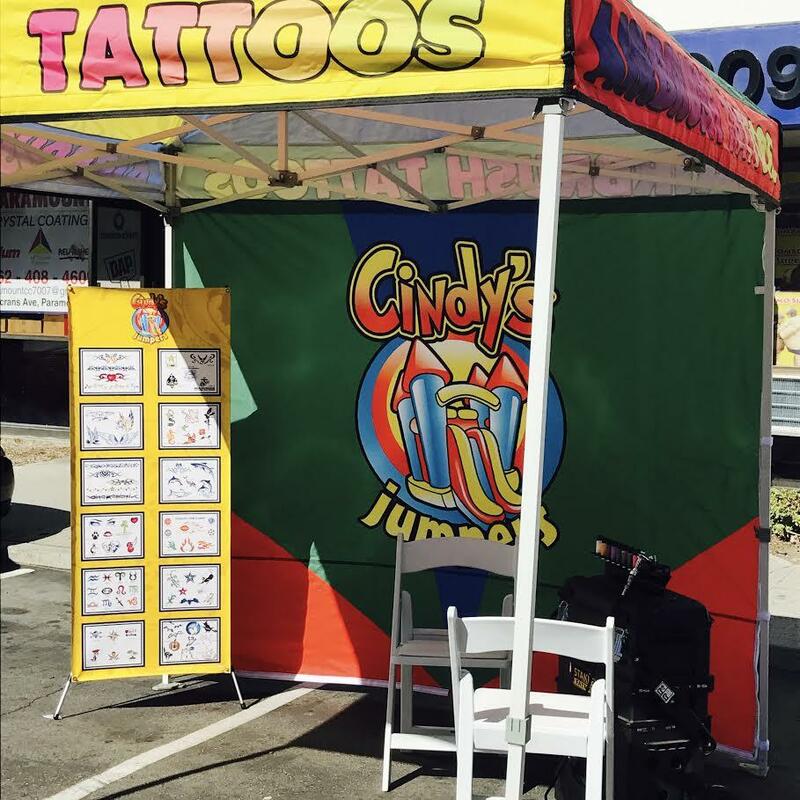 We have over 100 different tattoos to choose from. Tattoo artist can produce up to 25-35 tattoos per hour. Price is $400 for 3 hours, each additional hour is $100. This service is not discountable. No coupon codes or discounts can apply to this service. No cash discounts applicable for this service. 4 Hour Rental minimum for Holidays (New Years Day, Easter, Memorial Day, 4th of July, Halloween, Thanksgiving Day, Christmas Eve). We are closed Christmas Day and New Years Day.